After about three years away from the game, it was announced today that John Galliano will be making a return to fashion, this time at the helm of Maison Martin Margiela. Since he was fired from his post at Christian Dior, there has been a lot of talk about what’s next for the designer. Now that the speculation can finally come to an end, the fashion set has been very vocal on their thoughts of Margiela’s newest appointment. While some seem happy for the designer, others are left pondering if a character such as Galliano is a good fit for the Maison, which has left the names of its designers anonymous for several years. 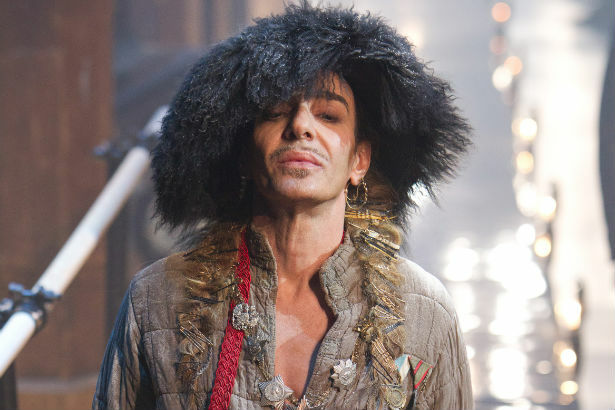 Today’s strange-bedfellows fashion news: Maison Martin Margiela confirms John Galliano as new designer. Ask me about my incredibly conflicted feelings regarding John Galliano! He was shoned from our world and now he’s back with a bang! Welcome back John Galliano! yaaaas. welcome back John Galliano.